Online stream anime episodes, Watch Naruto Shippuuden Episode 135-136 English Subbed online and free episodes. Anime Episode guide, Chapter Naruto Shippuuden Episode 135-136 English Subbed The Longest Moment As Sasuke approaches the Uchiha hideout, Itachi recalls his past with his little brother and the assassination that he carried out after joining the Anbu and being under close watch for his suspicious activities. When Sasuke arrives, he declares that his eyes have shown him Itachi’s death and the fated battle between the two brothers begins. 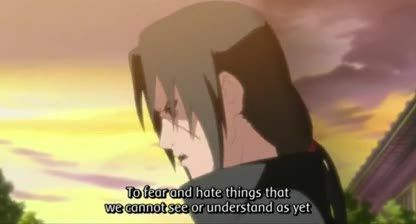 Itachi’s illusions deceive Sasuke as he explains that he conspired with Madara Uchiha, the Leaf’s founder and the first to awaken the Mangekyo Sharingan, when he killed their clan. 5 / 5 - 6 ratings.